…comes the newest in reality based, sustainable living instructional programming: Corruption Construction! 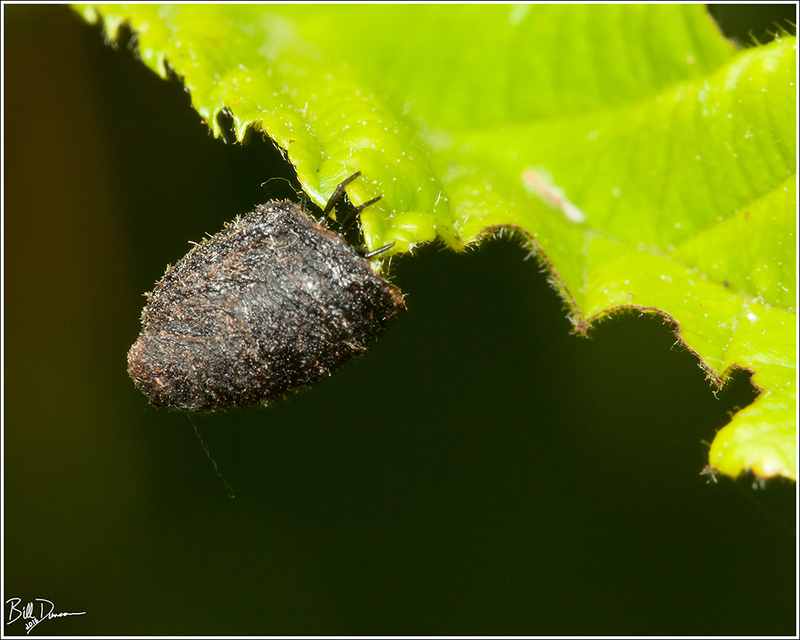 In a previous post I wrote a bit about the Warty Leaf Beetle (Neochlamisus gibbosus), a member of the Cryptocephalinae subfamily. Fascinating due to the fact that the adult form seems to be a perfect mimic of caterpillar frass, this species is much more interesting than I had imagined. Warty Leaf Beetle – Chrysomelidae – Neochlamisus gibbosus. Adult photographed at Shaw Nature Reserve, MO. This species is highly, if not solely, associated with blackberry as a host plant. While watching these guys and looking for other insects on these plants I kept noticing gall-like structures, usually on the undersides of the leaves. Warty Leaf Beetle – Chrysomelidae – Neochlamisus gibbosus. 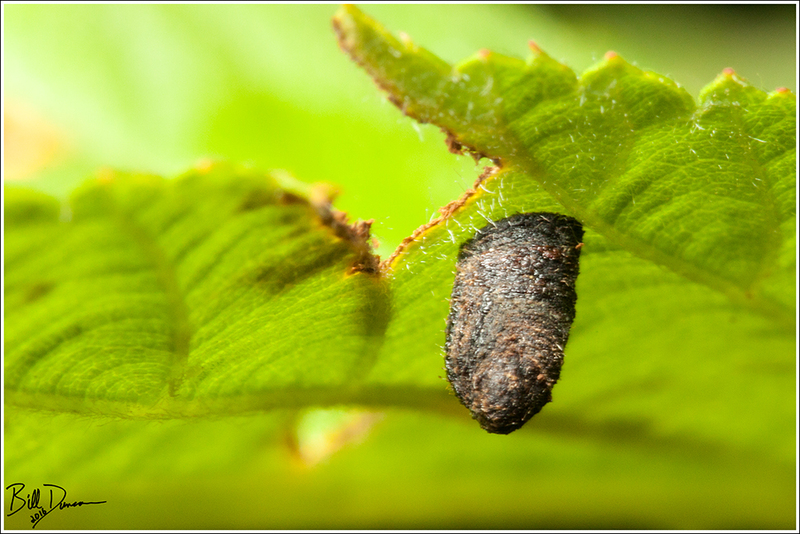 Larval scatoshell. Photographed at Shaw Nature Reserve, MO. Paying closer attention, I noticed that these structures were not galls, nor were they attached directly to the plant tissue – they moved. On closer inspection, I could sometimes see the legs of the creature that resided within the house. I had to crack one open to see if I could get an idea of what sort of organism built and resided within. 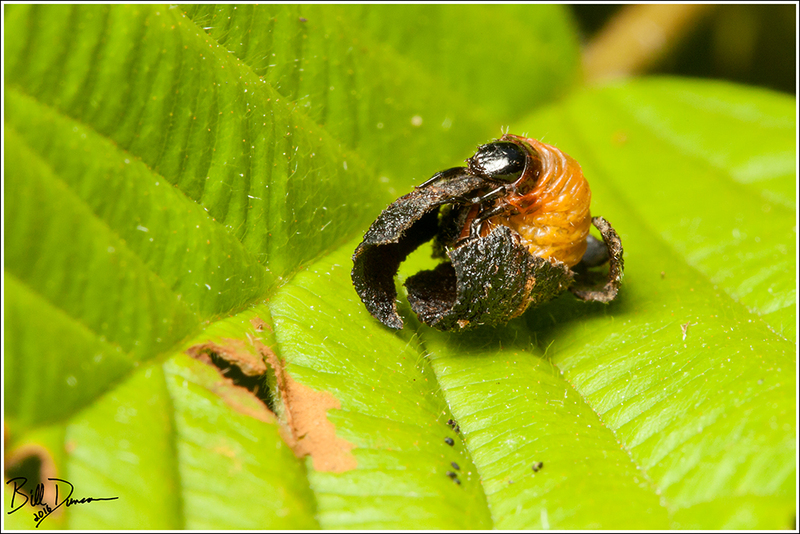 As you can see in the photograph below, the animal appeared to be a beetle larvae. Warty Leaf Beetle – Chrysomelidae – Neochlamisus gibbosus. Larvae exposed from within its scatological residence. Photographed at Shaw Nature Reserve, MO. 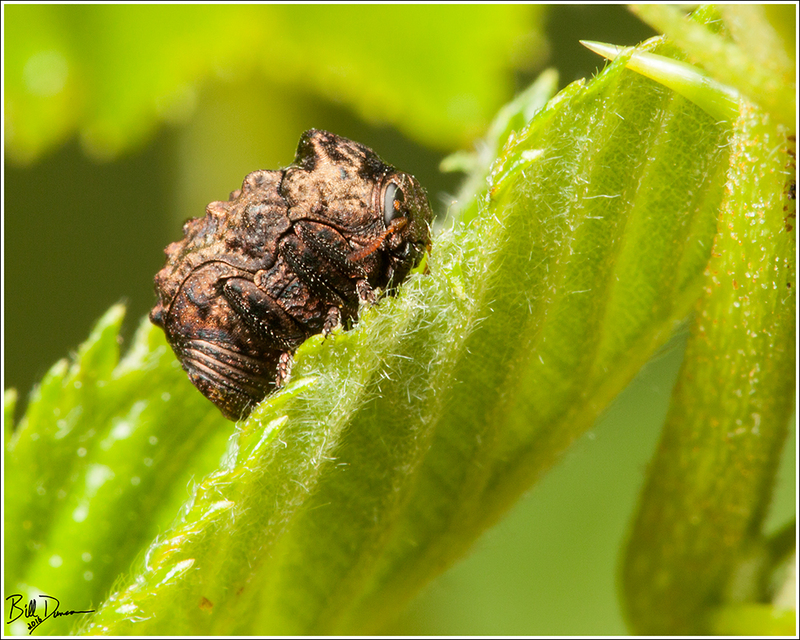 It took me a while to put it together, but eventually I confirmed that the larvae belonged to the same species as the adult beetles that I observed all over the blackberries. My next question was, on what materials did the larvae use to build its shelter? Usually, an insect will use detritus or perhaps fresh plant tissue that it processes to make a protective enclosure like this. These guys do it a bit differently. It starts with mom. As she oviposits, she encases each egg with a layer of her own feces and some rectal secretions. As the larvae hatches and grows, it continues to expand its home by building with its own feces to accommodate its increasing bulk. 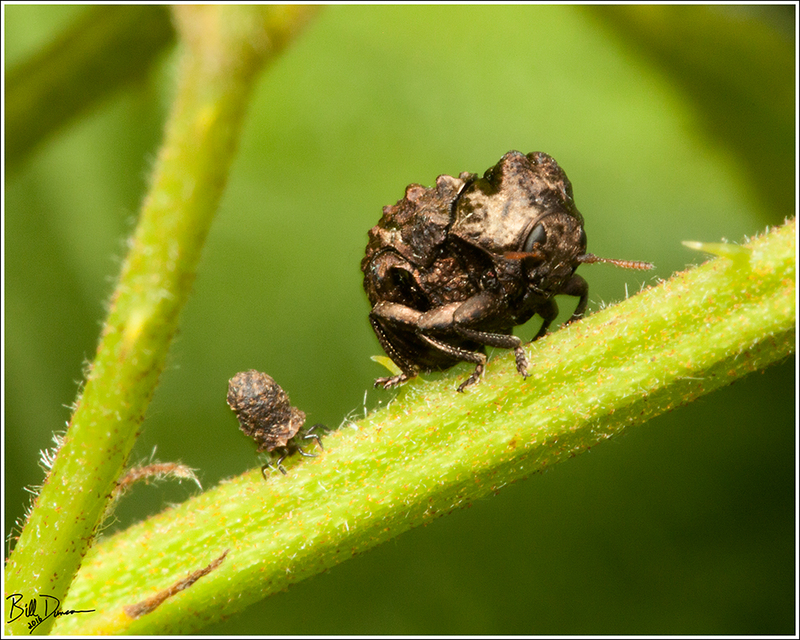 Here is a photo of an adult and larvae close together.